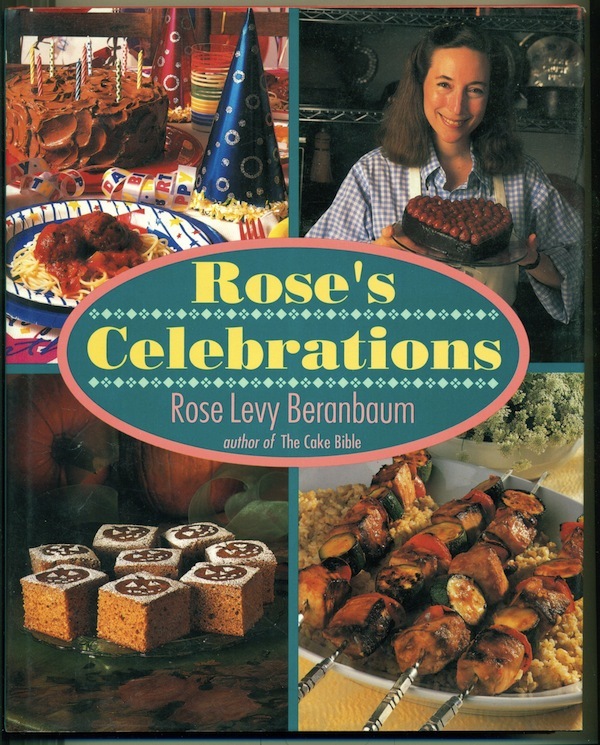 Rose Levy Beranbaum is the author of many books on baking. 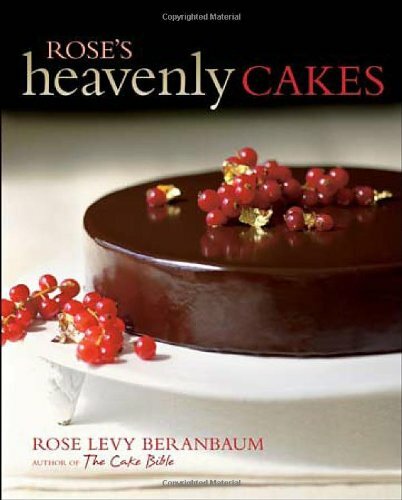 Her first bestselling book, The Cake Bible, is currently on its 47th print run. 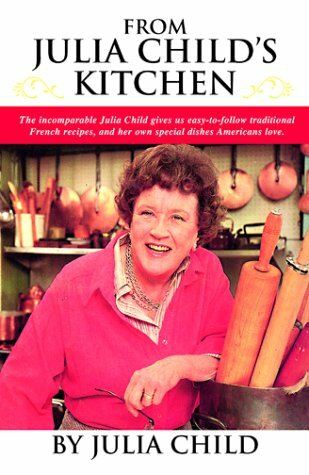 Let’s start with the Julia Child book. Actually, she was my model for instructions and not being afraid to give all the information necessary because a lot of times when I started writing, if you told the whole story that meant the recipe was difficult, whereas really it’s difficult if you don’t have all the information and you’re part way through and you can’t get the answers. The way she wrote her puff pastry description was just brilliant. So any time that I look for something French that’s where I begin. Tell me about her puff pastry. I’m quite frightened of puff pastry because you have to mush in so much butter it just turns to slime. What does she do that’s different? It’s the description. It’s everything you need to know. Just give me one little sec. I’m going to pull out the book… But the real secret, which she didn’t know at the time, and that I got from Bernard Clayton’s book, is the temperature of the butter has to be 60-65 degrees, so that it’s malleable and doesn’t break through, but not so soft that it squishes either. This is the thing. I’m choosing the books that I refer to the most. So, to be honest, I haven’t looked at Julia’s book for a long time, but I consider it to be unsurpassable in the writing style and… here it is! It’s full of yellow post-its. Oh! It’s not puff pastry, it’s croissants. Probably the hardest thing to make without a sheeter and she has four and a quarter pages devoted to it. That’s a lot of pages. I must just tell you one aside that’s related. Years ago I was interviewed with other people and asked what was the one book I’d take with me to a desert island. One cook took her own book and I thought: ‘Why didn’t I think of that?’ One never remembers one’s own recipes but you can always recreate them if you have the basics. Now you’ve got Marcella Hazan. That one I look at frequently. 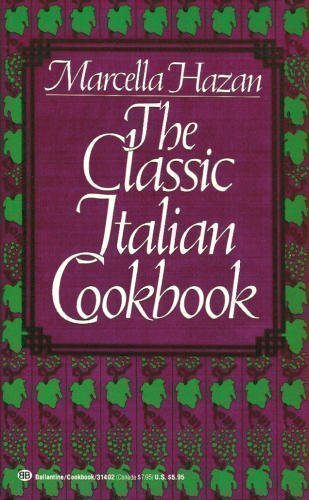 If I want to make something that’s Italian, Marcella Hazan’s Classic Italian Cookbook has everything in it. If I want to make osso bucco or just to check something I use this, and I also love the way that she writes. What would you make most from this book? I guess the osso bucco, but the other thing that I love is her recipe for onion pasta. It’s just simply onions that you cook down very slowly for a very long time and she has a tomato sauce where you just put butter and a whole onion in the tomato sauce and cook it down until it’s very soft. I don’t know if all of the things are classic but they’re all wonderful. I’ve never made anything from her books that I haven’t loved. What kind of desserts does she do? I have no idea because I’m not a fan of Italian desserts. Me neither. I live in Italy and the desserts are disgusting. Their taste for desserts is just not mine, except for tiramisu. That was their stellar moment. They even have a tiramisu drink in Japan. And in Florence in the old town there’s a torte irise, which is a white cake, ethereal and melting, and nobody could ever get the recipe, and in my next book I’m going to have a torta caprese from Capri, so I can’t say I never like them. It’s almonds and chocolate, light and moist and it took many attempts to get right. I guess it’s Italian American desserts that I don’t like. Like, in Indian restaurants I always have gulab jamon and rasmalai. I don’t mind very sweet things if they’re wonderful. 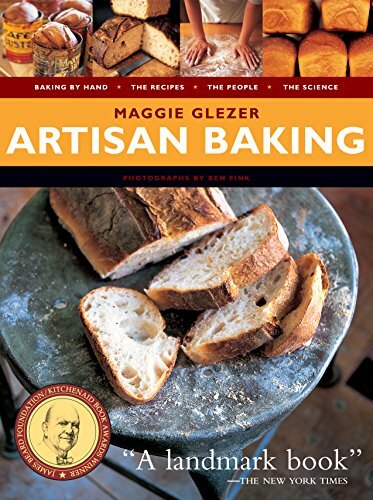 Tell me about the Maggie Glezer book, Artisan Baking. I have a lot of trouble giving high prize to baking books that don’t have weights in them, because I think it’s impossible to duplicate things exactly. Maybe if they say how they measure the flour, but if they have the weights I feel reassured. Maggie has done the most perfect bread book. No, you can’t say anything’s perfect. I take that back. But Maggie has done a brilliant bread book and her recipes are wonderful. They are set out in the way that I started in The Cake Bible. I think I was the first ever to have charts in a cookbook – the volume, the weight in grams and the weight in ounces. If I had my druthers I’d just have grams but Americans are afraid enough to weigh things at all. I’m frightened of American cookbooks because I don’t understand cups, whether they should be heaped or flat. Or how it’s measured, whether they lightly scoop the flour or dip in the cup, and our cups are all different. But Maggie’s book is all set out the way I do it – I wish everyone would copy my charts. 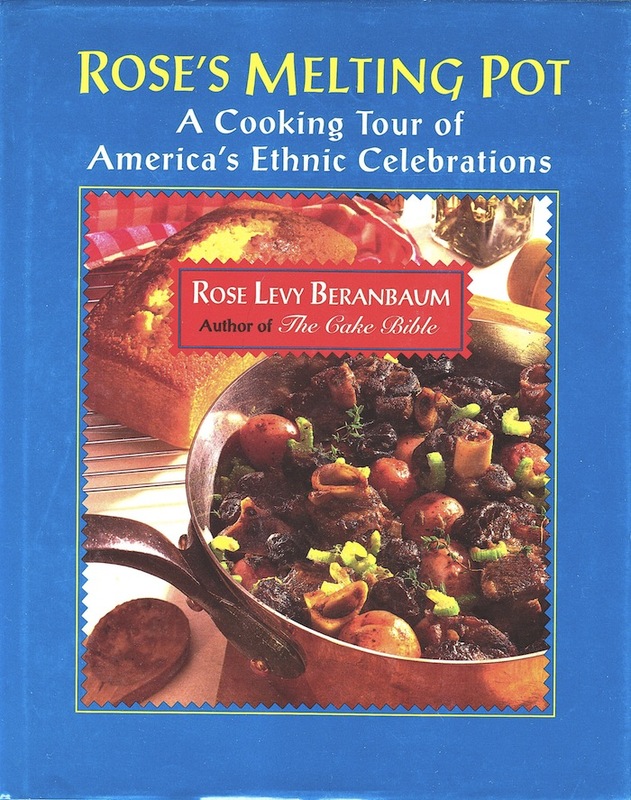 This book inspires me the most and I have put two of her recipes, with her permission, on my blog, and then the third one I love. I said: ‘Buy her book! I gave the recipe for her ciabatta, oh, her royal crown tortano with potato in it. The way she describes it – she says, ‘It has holes the size of radishes in it.’ They aren’t necessarily her recipes but she gets the recipe and describes it so that anybody can make it just the way the bakery does. Everybody tries for those holes but they generally make the dough too stiff, too much water and not enough flour and they manipulate it too much and the holes tighten up. It’s difficult that. Because when you knead it it’s got to go elastic. It depends on the flour. If you use bread flour rather than unbleached all-purpose it has less ability to stretch. If you have a lot of water it’s sticky and you need a machine to do it or not mind getting your hands very sticky. You’ll get the holes if you have enough water. You have to develop the elasticity. It has to be the right kind of gluten. There are two different kinds of gluten, but if you have the right recipe you don’t need to know anything – you just need to follow it, and that’s how I wrote my book. I can reproduce my own bread to within a gram every time. Jean Anderson. 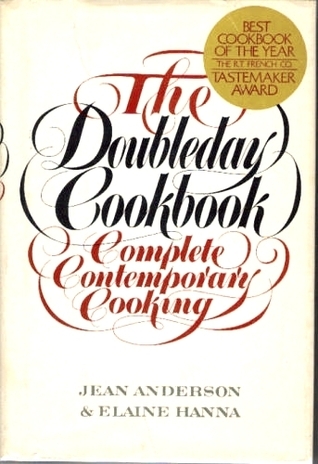 The Doubleday Cookbook. She gave a lecture at NYU when I was a student there and she said how wonderful it is to write cookbooks because you get royalties for the rest of your life. Dream on, right?! There are so few classics in this country but I’m so proud that The Cake Bible is in its 47th printing. I’m a writer first and then a cook. I spend so much time on my blog because I want to answer if it can make a difference to them and, anyway, it comes naturally to answer. I know! Totally different personalities. It’s nice to be a person of words. So, Jean… when I was working at Ladies’ Home Journal they offered us this book at a discount and I bought it… Sorry, I have a cold. I am very absorbent of other people’s illnesses, especially in extreme upstate New York. 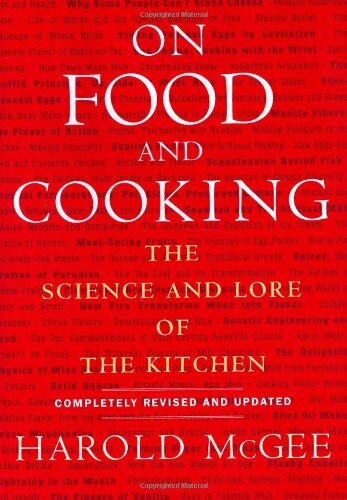 But, Jean is such a thorough researcher and that book is comprehensive so if I forget how much salt to put in when I’m boiling shrimp, to emulate seawater, that’s where I find it. You put salt water in the shrimp to emulate the sea? My stepson and daughter-in-law live in Seattle and when they make crab they actually use the ocean water because they can get it easily. I don’t need to learn how to cook but the Doubleday cookbook is where I look when there are things I need to know. How many minutes per pound for a turkey to roast. I mean, I certainly don’t need to know that…but things like that. We use Delia Smith for that. 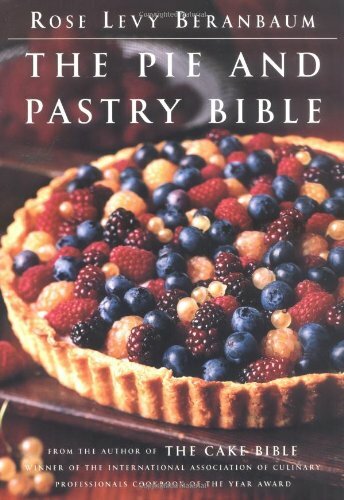 You know, my book The Cake Bible was translated into English. Yes. 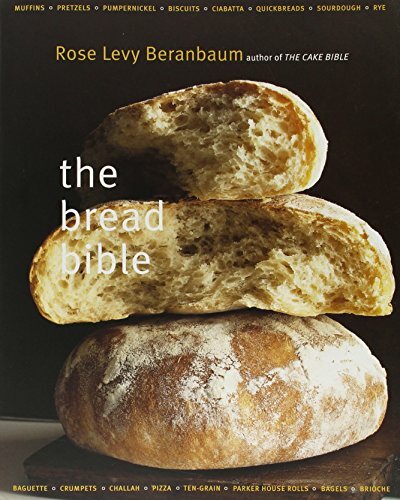 I wrote in the introduction that the book is the culinary tower of Babel because things like self-raising flour is so different and now it’s changed further. I don’t know if you know this but in my new book I have something called Kate flour. Kate Coldrick from Devon has figured out a way to treat UK flour. It is illegal to have bleached or treated flour in any of the Commonwealth countries, which profoundly affects the way cakes are baked. And she researched it and found that the industry heat treats the flour, which is why there are excellent cakes you can buy commercially in the UK. The treatment has the same effect as bleaching and so she started doing it in the microwave. So, instead of getting a quarter-inch-high cake she gets a one-and-a-half-inch-high cake. That is astonishing. Is that why American-style cakes don’t rise in England? And in Italy they do rise! Yes. Unbleached flour is like ball bearings. It can’t absorb or emulsify as well as bleached flour. I’ve done so much research on this. I went to Devon and worked with Kate last year. She has a blog called A Merrier World. She’s a wonderful person. She has three kids under the age of seven but she and I stayed up all night experimenting. I don’t give quotes to cookbooks any more but I gave one to Harold because he doesn’t have recipes, he has techniques and science, so I made an exception. If there’s one book that everybody should get it’s this book. He explains how cooking works and gives you the freedom to create your own things, to know when things go wrong, and he references other people’s books. He’s a wonderful true scientific writer and not dull. Well, he would describe the differences between bleached and unbleached flour or, say I wanted to substitute honey for sugar, he would explain the differences in the way it performs and how much liquid there is in the honey. That’s just an example. He doesn’t just stick to baking. He tells you what you need to know about cooking veal and how to keep it from getting tough or dry. It’s common sense basic things and every serious food writer refers to his book. What are you making tonight? Well, last night, I made a banana cake with a combination of oil and butter to see what would happen. Yesterday I thought it was too moist because butter has water in it and I didn’t account for that, thinking it would be good to have it more moist, but today it’s heaven and I’m thrilled! There’s bananas, crème fraiche, and I used my oil cake recipe but with butter as part of the oil. The reason I did an oil cake with banana is that a lot of people like to use cream cheese frosting and then it needs to be refrigerated and a butter cake is like cardboard when it’s cold, but with oil you can eat it straight from the refrigerator. Now my assistant in Minnesota is going to try with sour cream. Tonight I’m going to our country place in New Jersey and we’ll arrive late so I always have things in the freezer that I made recently so it’s a beef and barley soupless. It’s classic beef and barley soup but concentrated so there’s no soup in it. Like a pilaf. And guess what else I’m making with it! I found two gigantic puffballs so I’m going to sauté them and also the last of my neighbour’s tomatoes. I made a terrible mistake yesterday that I’ve never done before. I was oven-drying the last of the season’s cherry tomatoes and I went out to a party at Di Paolo, the best Italian place here in Little Italy, and completely forgot them so I made tomato briquettes! I was heartbroken.